Coconut products seem to be in high demand these days. Along with coconut oil and shredded coconut, coconut sugar is becoming more and more popular. Coconut sugar (also called palm sugar) is a type of natural sweetener that is derived from the sap of cut coconut flower buds. The sweetener is prepared by boiling the flower buds and dehydrating them. The result of this process is coarse brown granules which look similar to brown sugar. Coconut sugar is widely used in Asian countries as a natural sweetener, but its popularity is now growing in the western countries as well. Its increasing popularity is mainly due to the fact that it’s considered to be a healthier alternative to white sugar. How Does Coconut Sugar Taste? Coconut sugar has a subtle sweet taste, almost like brown sugar but with a slight hint of caramel. However, since coconut sugar is not processed like regular sugar, the color, sweetness and flavor may vary depending on the coconut species used, season when it was harvested, and where it was harvested. The glycemic index measures the effects of carbohydrates on your blood sugar. Foods high on the glycemic index cause your blood sugar to shoot up very fast. According to American Diabetes Association, any food with glycemic index of 70 or more are considered high glycemic index foods (high GI foods). Some of these high GI foods include white bread, white rice, rice pasta, and corn flakes. On the other hand, low glycemic foods help you feel full longer and help keep blood sugar even. Foods such as oatmeal, sweet potato, legumes, beans, carrots, etc. According to Livestrong, coconut sugar ranks just 35 on the glycemic index while regular table sugar ranks between 60-75. Coconut sugar offers more vitamins and minerals than regular white sugar. It contains trace amounts of vitamin C, potassium, phosphorous, magnesium, calcium, zinc, iron and copper. It also contains B vitamin inositol which is used as a mood booster. Coconut sugar is a natural sweetener. It doesn’t go through the extensive refining process that white sugar does. It contains no artificial ingredients and is not chemically altered in any way. Fructose (or fruit sugar) is a type of sugar your body converts to fat quickly. Fructose is exclusively broken down by the liver and when we consume foods high in fructose, it’s really bad for our liver. The liver has to store all that excess fructose it can’t break down as fat in the form of triglycerides. This can lead to fatty liver disease or insulin resistance. Coconut sugar has 45 percent fructose, making it a healthier option than other sweeteners in the market. If you’re planning to lose weight, then sugar is one of the first items you should eliminate from your diet. 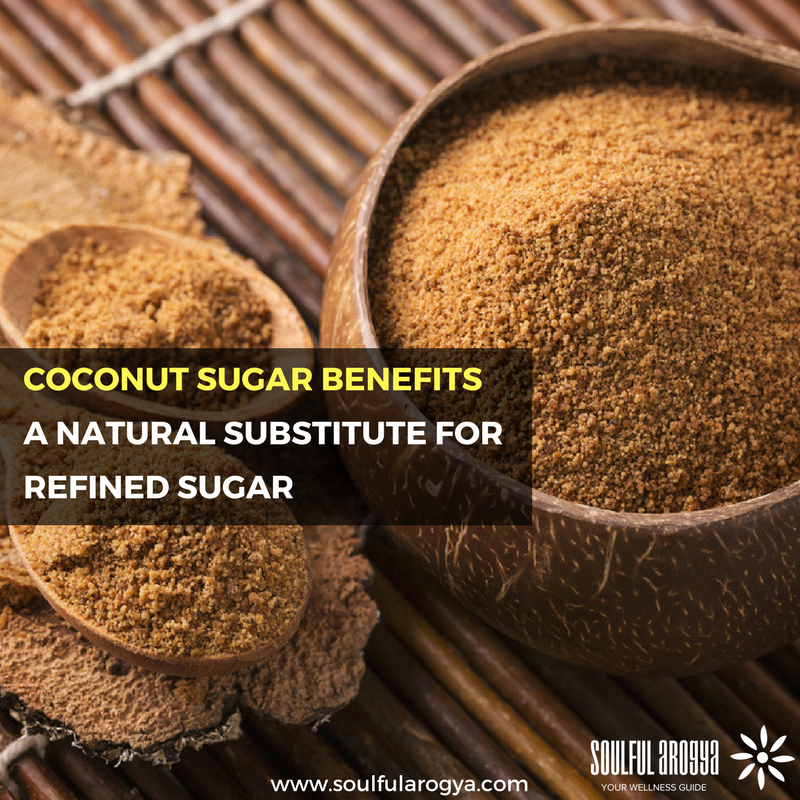 But if you’re finding it too difficult, then coconut sugar is probably the next best substitute for sugar. As mentioned above, it contains less fructose than regular sugar and is relatively nutrient-rich. Furthermore, it tastes much better than artificial sweeteners. While coconut sugar is healthier option to refined sugar and artificial sweeteners, it’s still a type of sugar. Therefore, it should be consumed in moderation. What are your thoughts on coconut sugar? Have you tried it before? Please share your comments below. The Ultimate Wodehouse Quiz: How Well Do You Know P.G. Wodehouse? In this article, we'll explore the roots of walking meditation and how you can master this wonderful mindfulness technique. 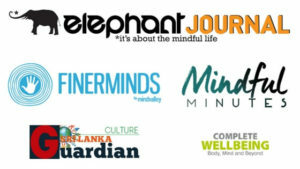 Soulful Arogya is a mindfulness and wellness blog focused on meditation, yoga, ayurveda and spirituality. Every day, we engage readers with top insights and in-depth articles on yoga, meditation, pranayama, ayurveda, zen, diet and nutrition, and the latest in wellness news. © Copyright 2017-18 - Soulful Arogya. All rights reserved.